Reliable data is crucial to your success. As a result, we have engineered our data collection systems to be effective in smaller and mid-range UAV's. 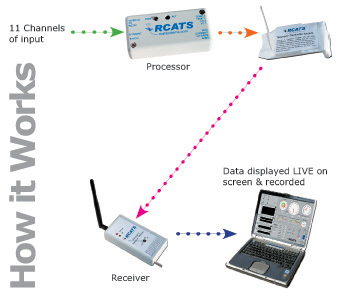 Suited for prototyping and proof of concepts, RCATS Telemetry systems offer you units that are robust, yet will not strain your tight budgets. We will continually stand by our products after the sale in order for you to gain the best possible experience. Containing the needs of typical UAV installations, the package includes the RCATS DCU, transmitter, receiver, rpm sensor & magnet, manual on/off slide switch, electronic switch, 12” precision stainless steel pitot/static probe, hookup tubing, t fitting & 2 quick disconnects, 2 standard thermocouples, receiver voltage measurement adapter, mounting velcro, virtual instrument panel software, and detailed instruction manual. 900MHz or 2.4GHz versions available. 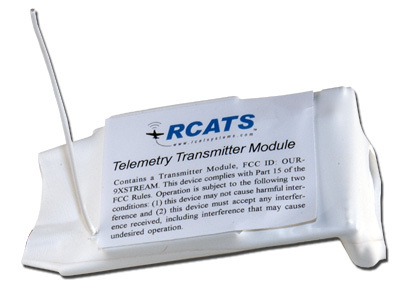 RPSMA transmitter antenna version (RCATS-900TX2 or RCATS2400TX2) included. For the 900MHz transmitter it utilizes 100mW ouput power (5+ miles LOS), while the 2.4GHz output power is rated 40mW (2+ miles LOS). 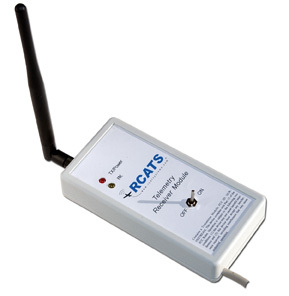 Avalable as an add-on to the RCATS telemetry system or as a stand alone system. For more information please check out the data sheet. Is currently under development. This unit will feature additional temperature inputs, GPS, data logging, sensors and a ruggedized closure with connections for harsh environments. Estimated release date is mid 2005. 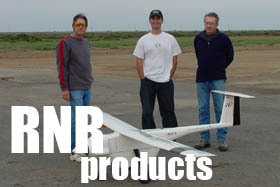 Feel free to read the case study on RNR Products. We offer a special discount program to Universities and Educational institutions. Please call 408-292-9794 or email for details. 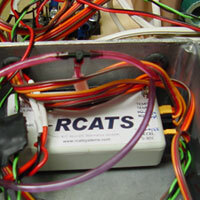 Copyright © 2004 RCAT SYSTEMS. All rights reserved. IE 5+ or Firefox 1.0+, 800x600+ recommended for best viewing.